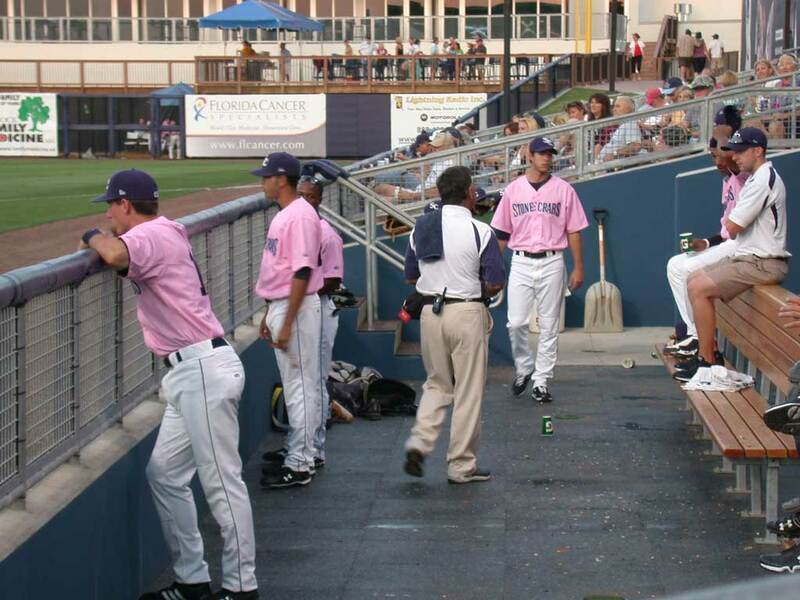 Charlotte Stone Crabs players wearing pink baseball jerseys during the game against the Fort Myers Miracle on May 1, 2009. The jerseys were auctioned off after the game to raise funds for breast cancer awareness. The Stone Crabs, the Tampa Bay Rays and Ripken Baseball are truly showing that they are community partners and great tenants of the new ball park in Port Charlotte. Suncoasteam Realty is a sponsor of Charlotte Stone Crabs baseball and Tampa Bay Rays baseball spring training.